Your ecommerce web design should put your products online and aim to convert every visitor into a customer. Running an ecommerce site is all about making it easy for people to buy things online, from your store. The right web design for ecommerce can have a profound impact on your bottom line, increasing conversions, boosting recurring customers, improving customer satisfaction and more. Adapta Interactive helps ecommerce businesses set themselves apart online, by providing comprehensive ecommerce website development. Whether you’re selling consumer commodities or you’re looking for specific B2B ecommerce website development, we provide it. Our experience within the ecommerce industry gives us thepower to customize the shopping experience you want to provide to your visitors, while building in all of the core elements of a successful ecommerce platform. Don’t make it difficult for customers to give you their money! One of the key components of good web design for ecommerce is a streamlined, structured checkout system. We design a conversion funnel that takes surprises out of the equation, presenting shoppers with a checkout experience that’s easy to navigate, plain and simple. We’ll help you take customers from their cart to the completed order verification screen in as few steps as possible, boosting conversions and improving customer satisfaction. Most importantly—especially for B2B ecommerce website development—we make sure the entire checkout process is secure. 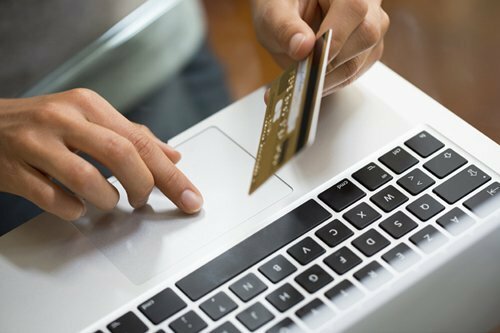 Count on us to integrate necessary encryption standards, secure payment processing, verified payment options and more. We’ll make sure your customers are shopping with confidence. In an age where ecommerce and online retail are targeted relentlessly by hackers and identity thieves, we put the utmost emphasis on security. With reliable hosting and site security as thebackbone of every ecommerce website development, we’re able to protect your customers’ information and your business reputation. From protected domain hosting information, to SSL certificates and more, our goal is to keep your site secured at all times. We’ll steer you clear of sensitive data breaches, compromised credit card numbers, stolen accounts and a host of other defaming situations that could lose you customers and your reputation as a trusted name in ecommerce. system that allows you to manage inventory, orders, fulfillment, reviews/complaints, product options and much more. We’ll make sure you have all the tools to build your business and keep it running smoothly from day to day. Your customers are shopping on all sorts of devices these days, including smartphones, tablets, laptops, desktop computers… even televisions! Making sure your ecommerce store is able to detect the display and size itself appropriately will help ensure you’re giving every customer the best possible experience. We heavily factor responsiveness into web design for ecommerce, to help you boost sales across devices. Looking for the best way to stand out as an ecommerce player? Video tutorials and product overviews can give you the edge above your competition, whether you’re exploring B2C or B2B ecommerce website development. Not only are videos another medium through which you can engage your customers, they’re also a great way to get noticed in search rankings and the ideal medium for social media. Videos will give your customers an up-close view of products you offer, along with explanations and information about each item being featured. Our video creation services will help you extrapolate your inventory and harness the power of every single product you offer, to power a buying experience that leaves your customers feeling confident and happy. Customers are proven more likely to buy products with positive reviews. With this in mind, we factor reviews and ratings heavily into web design for ecommerce! Our system makes it easy for customers to leave reviews—star and numerical—as well as feedback and their thoughts. And, through our back-end management system, it’s easy for your ecommerce site to publish and respond to these ratings and reviews in a way that boosts your credibility and authority.Use product reviews to fuel interest across your inventory and watch as your bottom line improves with each recommendation. We make it possible to leverage the power of positive product ratings across your ecommerce store, as well as on social media, through emailmarketing and in PPC campaigns. ecommerce site that are noninvasive, yet supremely effectual in getting the attention of your customers. From product carousels to in-cart recommendations, predictive recommendations based on past checkouts to popup notifications based on current cart contents, the help you explore every opportunity for add-on sales. Our knowledge of ecommerce website development allows us to pinpoint critical areas within your various sales funnels where product suggestions can be madewith great impact. If you’re a distributor or reseller dealing with other business customers, having an ecommerce site that’s designed specifically for B2B transactions is imperative. We take the reins and build a site that’s crafted around providing comprehensive information and accessibility to business customers. SKU and product code information Tiered user login credentials Inventory management Fulfillment process management Pricing tiers, including MSRP and direct costs No matter how many products you offer, what industry you’re in or how many different partner companies you have, we’re prepared to offer B2B ecommerce website development that sets you apart. More than just the usual SEO tactic, ecommerce requires a larger strategy to help attract customers to your site through grassroots channels. Our SEO experts assess the types of products you’re selling, the audience you’re marketing to and the nature of your industry, optimizing your website for the right keywords, product terms, brands and more. We’ll make sure your site shows up in SERPs for relevant products and terms, and that customers reaching your website are pleased by what they find! Because we approach web design for ecommerce with SEO in mind from the outset, you can rest assured your site is being built on bedrock. Our SEO focus helps you get ranked so you can sell better to customers who are specifically interested in what you have to offer them. Comprehensive ecommerce website development There’s hundreds of billions of dollars in consumer spending up for grabs each year—make sure your ecommerce website is a establishing itself as a destination for shopping. With Adapta Interactive on your side, it’s possible to transform your ecommerce platform into a powerhouse of sales, customer satisfaction and recurring customer visits! All it takes is some forethought to ecommerce website development. ground up, let us show you just how quick and easy it is to start building an online presence. Whatever your site demands, we provide turnkey web design for ecommerce. Because we take the time to consult with you about your site and understand your niche within the ecommerce industry, you’re guaranteed a finished, polished product that helps you increase key business benchmarks, including conversions, average checkout and page views. Our goal is to increase your bottom line by providing turnkey ecommerce website development. Enhance your ecommerce experience Contact the ecommerce experts at Adapta Interactive today and let us assess the needs of your ecommerce platform. We’ll consider it from every angle, to provide you with an ecommerce site that customers will love to use! Call 952-767- 6700 to learn more about our approach and let us put our proven talents to work for the benefit of your bottom line. "You’ve brought our tracking systems up to the potential that Google Analytics offers, particularly e-commerce, and I am appreciative. We now have a better foundation for decision making."